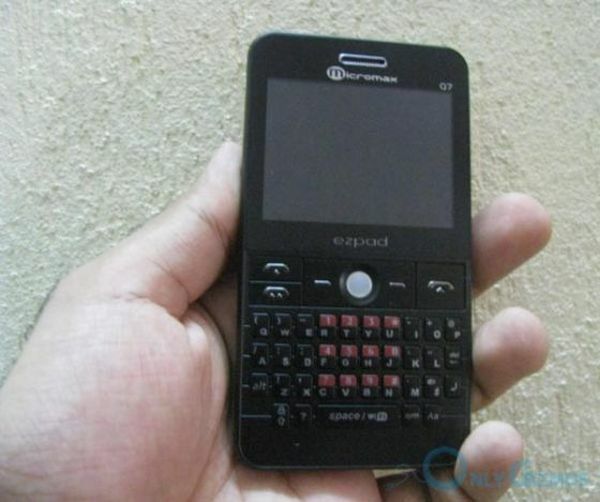 Q75 is a full QWERTY keypad phone launched by India’s fastest growing handset manufacturing company- Micromax. Q75 is a GSM smartphone that comes with great list features at an optimal price. It is the latest addition in the QWERTY series of Micromax and comes with several advancements like enhanced battery life and Wi-Fi support. With its dual SIM (GSM+GSM), it gives you the luxury to use two network and separate your professional and personal life. This handset has a killing design that can result into many head turns. Apart from that, it has many enthralling features that make it a great purchase. First impression of the phone is awesome. Once you will start the handset, you will hear a loud yet standard sound. All the wallpapers and standby theme are well selected and looks good. Its comfortable QWERTY keypad allows texting with ease and the track ball allows smooth navigation through all the applications. The phones locks in 15 seconds and you can unlock it by long pressing shift key located on the left bottom. Camera takes ordinary pictures as well as videos. Music player of the phone generates high definitions sound and supports multiple codec. FM radio is smart and comes with impressive quick search. 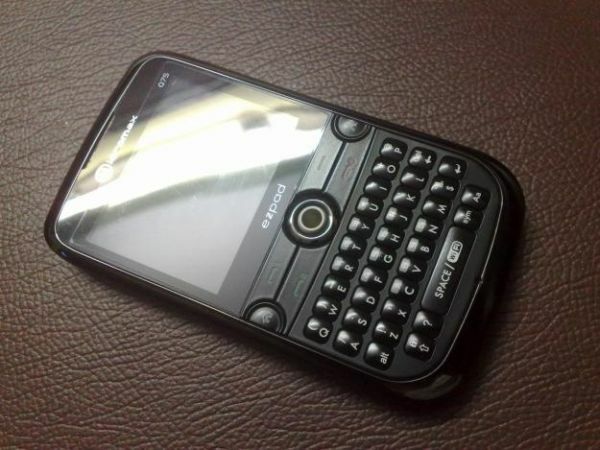 Q75 comes with a QWERTY keypad with trackball navigation and two call buttons-one for SIM 1 and other for SIM 2. It has a 2.4-inch QVGA TFT display with a resolution of 240 x 320 pixels and 3.2-megapixel camera with video recording and digital zoom. Connectivity options include GPRS, EDGE, Wi-Fi, Bluetooth and USB port. The phone supports external storage up to 8 GB on micro SD or micro SDHC cards. Apart from that, it has an internal memory where you can store up to 1000 contacts and 1000 messages. It features a Li-ion 1200mAh that gives a talk time of seven hours and standby time of up to ten days. It comes with a standard 3.5 mm audio jack, which makes it compatible with all speakers and headphones. The phone operates at frequencies of GSM 900 / 1800 Mhz | GSM 900 / 1800 Mhz. The handset comes preloaded with all the major apps including Opera mini browser, messengers, Nimbuzz and other social networking programs. It also features Zenga mail that allows you to access multiple mail accounts through one application. It features a Multi Format Music Player that has the ability to support MP3/AMR/MIDI/WAV formats. Its video player supports 3GP, AVI and MP4 formats. There are other entertainment features including a FM radio and many preinstalled games. The handset looks stylish, high priced and its metal side finish gives it an awesome appearance and makes it one of the best-designed handsets from Micromax. It has dimensions of 115MM x 64.5MM x 12.2MM. After looking on the dimensions, there is no need to tell you that it fits perfectly in the hands of both masculines and feminines. Glossy black finish on the front and chocolate brown matte finish on the back makes an attractive combination. At the same time, chrome metallic brushed finish on the battery cover mixes perfectly with chocolate brown coat on the rear panel. The camera and speaker is located above the battery compartment latch switch. A latch located above the battery cover opens it and gives access to micro SD memory slot and two GSM SIM card slots. 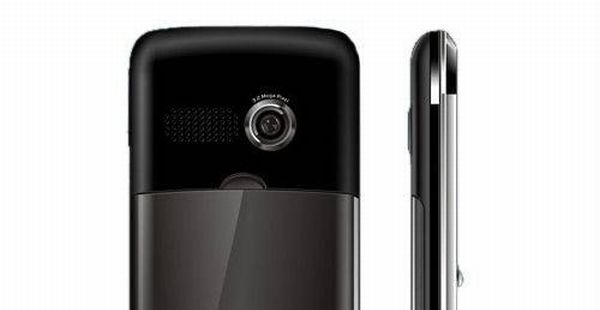 3.5 mm audio port and charging port is located at the bottom surface of the phone. 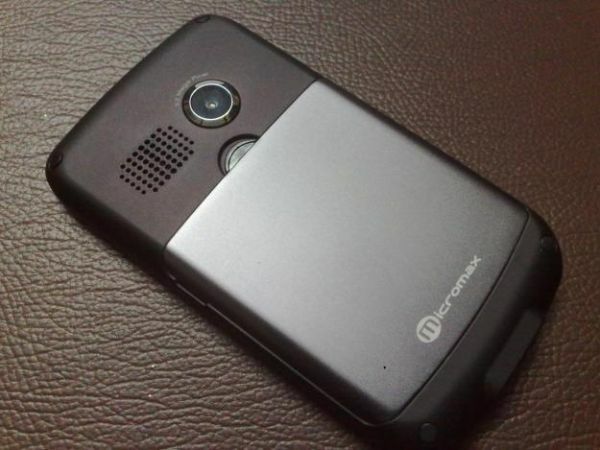 Micromax Q75 is a snappy smartphone that provides executive class features at an affordable price. Track ball, Opera mini browser and Wi-Fi are its unique selling points. 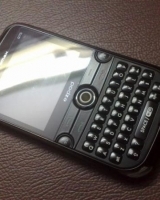 Solid build quality and QWERTY keypad are other add-ons. At a price of Rs. 2, 590, it is a great buy for all kind of users. There are many highs and lows of this phone, but overall it is a decent handset and we can say best in its segment. 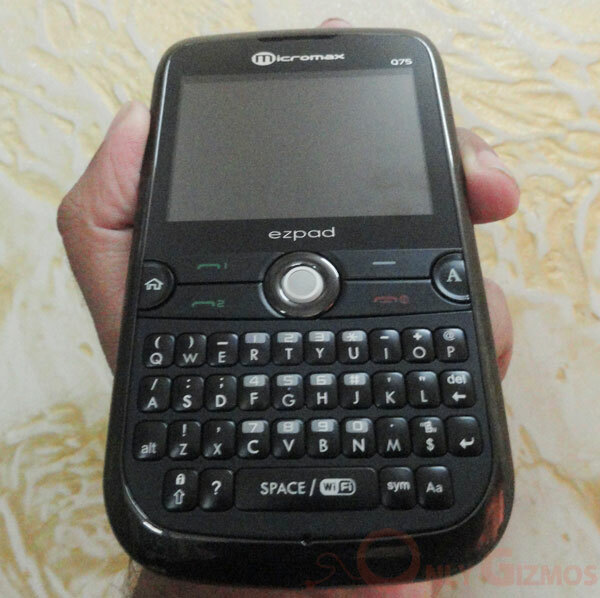 Below 3, 000 it is giving you many facilities that are not available in any other phone in this range. 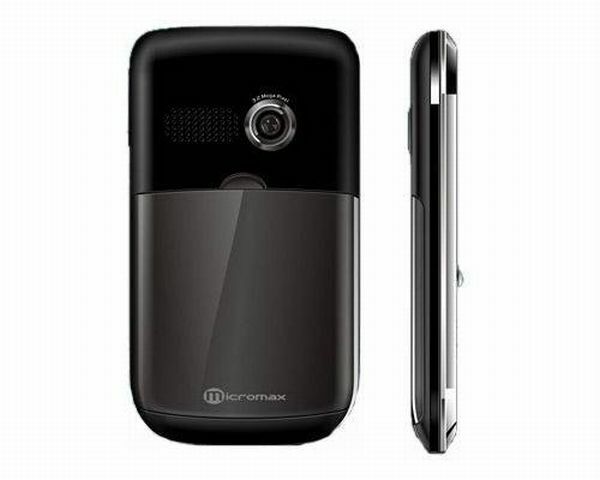 However, if are looking for a camera phone, then you will be disappointed with its ordinary images and videos.